It’s been a busy old Autumn, as I’m sure you’ll agree - wherever you are, it’s always intense, whether with school productions, work deadlines or preparing for Christmas! Our launch party where we went ‘official’ with Gingerbread! We thought we’d let the pictures do the hard work and tell the story for you! Over the summer, we’ve had quite the revamp at the shop. 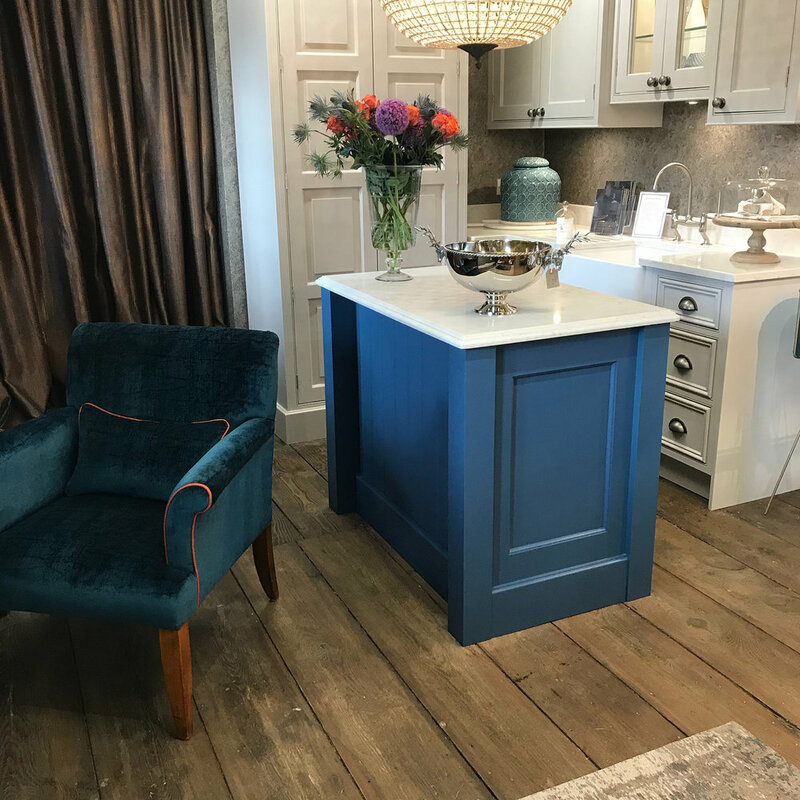 The whole shop is now focussed on delivering an interior design service to our visitors, with our client area being the centre-piece. 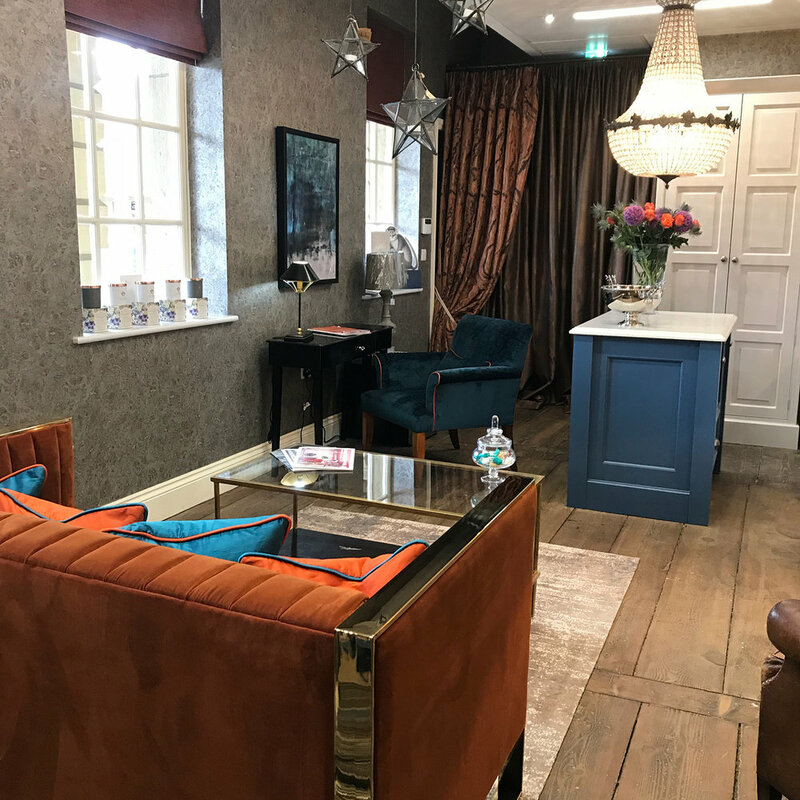 This is a space where you can talk to our consultants, check out our samples and relax a little to focus on the finer things in the home. Come along to The Piece Hall in person to see for yourself; in the meantime you’ll notice some changes on the site. We've just been undergoing a revamp in the shop, including a new client area, as we are passionate about our interior design service. This is a little flavour of what's to come, and more details are on their way. I love the kitchen space, a place where the family congregates, the focal point for entertaining and the fusion of the practical and beautiful. Pause & think; don't dive in! 1. Pause & think; don't dive in! It's easy to get carried away, and before you know it, you've committed to something that perhaps won't serve you down the line. This is the perfect time to stop and think about what you want and your space. Taking a bit of time at the start to plan will make sure you get it just right. What things have frustrated or annoyed you? Pinch points, bottlenecks, awkward areas, spaces that you never use or rarely? What do you really like about your current kitchen and want to retain? Some of these points may be superficial and solved through painting and decoration. Others might require structural work to solve; if so, you would want to finish any building work before other phases of your project! Your kitchen is a practical space at the end of the day, and no matter how smart it looks, if you can't cook and entertain easily, it will frustrate you no end! Believe it or not, there is such a thing as the kitchen work triangle or kitchen triangle theory, which governs the efficiency of a kitchen. Thankfully, it's relatively simple: the more equal the sides of your imaginary triangle are between fridge, sink and stove, the better the flow of your kitchen. These are the key applicances, as they get most use, and so you need to think about their layout. If you have a lop-sided triangle, with one or two edges overly long or short, you may run into problems once things are up and running. The other advantage is that it keeps plumbing simple and could save you space if arranged well. You will be surprised at what you can do with your finance when it comes to kitchens, but deceiving yourself with an unrealistic budget is a recipe for heartache. Setting a budget also forces you to get more creative, which is what you want to do when planning a kitchen. Remember that wonderful vibe that I mentioned at the start? A boring budget might seem irrelevant but it could be the very element that helps you stand out from your friends. If you're unsure or want some advice, contact Sharon who specialises in interior design and discuss your needs. You've heard it before a thousand times: the devil is in the detail. It's also the part of a kitchen that will really lift it and bring you joy. The kitchen is a very tactile space in which the emphasis is on picking up, putting down and moving things around. The feeling of something really well-made -finished and -textured in your hand is not to be underestimated. Consider how many times you will interact with a knob or fitting over its lifetime - many thousands of times - so a small moment of joy is multiplied over and over. Your finishes will also help bring coherence to the space as a whole by allowing you to tie in fittings, furnishings and furniture. Starting is the main obstacle to overcome in this whole process, but don't worry if you become totally overwhelmed by the detail or juggling the needs of some building work. Make sure that you talk to your partner or someone close, ideally someone who lives in your current space who understands the needs. This will give you a perspective that little bit removed from your own and help you spot anything you may have missed; or help you be more realistic! 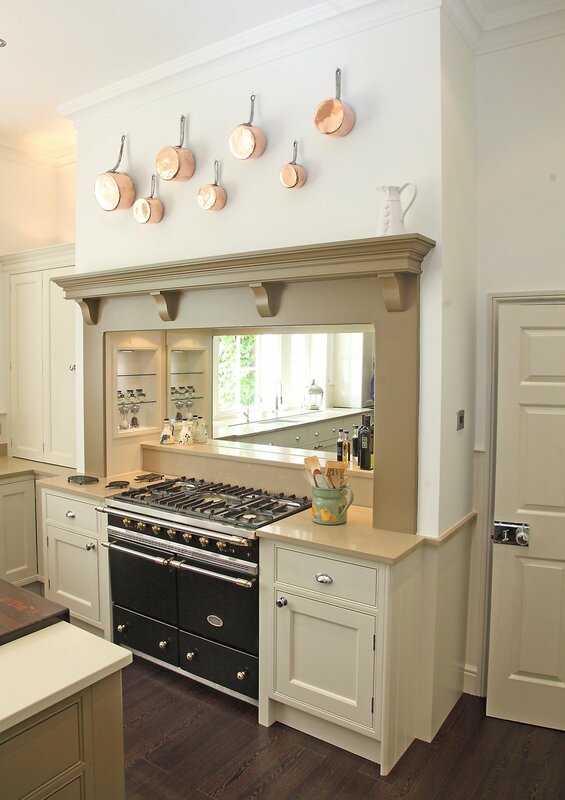 Ultimately, an interior designer will enable you to get the wow factor you are looking for through his or her experience, training, understanding of space and appliances and eye for detail. Sharon who founded Gingerbread has gone through the process, transforming her kitchen and house, and offers a kitchen consultancy service. You can get a free, no-strings-attached appointment in which Sharon will sit down with you, help you talk out what you want and discuss what could work best. She works exclusively with local craftsmen, so can ensure that you get those exquisite finishes we mentioned. Open now at The Piece Hall, Halifax! Come on in and see our beautiful homewares.